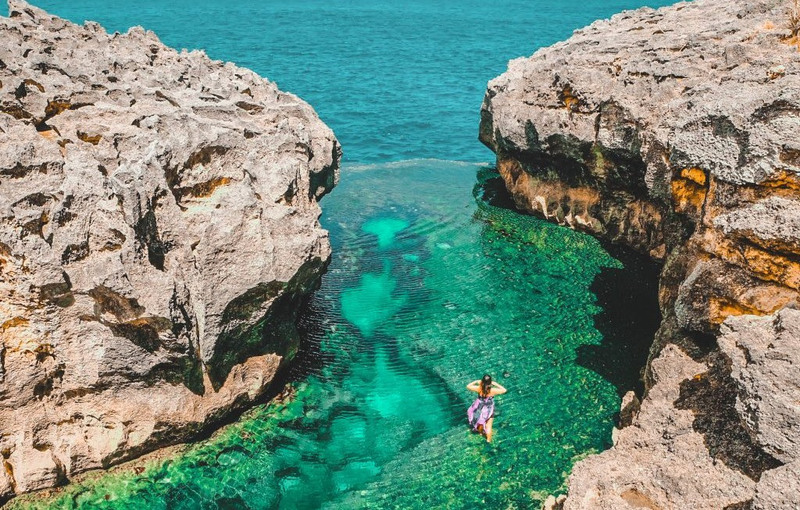 So you finally did it, you’re visiting one of Bali’s most popular and most Instagrammable sister island, Nusa Penida. What an exciting trip ahead of you! If this is your first time to Nusa Penida, you can expect to find everything that you’ve been seeing on Social Media; Broken Beach, Angel’s Billabong, Atuh Beach and Kelingking Beach but it’s not all magic – don’t forget to take care of the logistics. Here are some tips to give you an idea of what to expect. Nusa Penida is a smaller separate island from the mainland of Bali so you’ll need to go on a short boat ride to get there. The journey will take 45 minutes at the most. Many travellers embark from Benoa Harbour or Sanur and a return trip will cost you approximately Rp 400,000 per person. While you could always purchase tickets online, some travellers would prefer to head to the ticketing offices at the harbour to purchase their tickets. Don’t forget to take note of the boat schedules so that you won’t miss your ride! 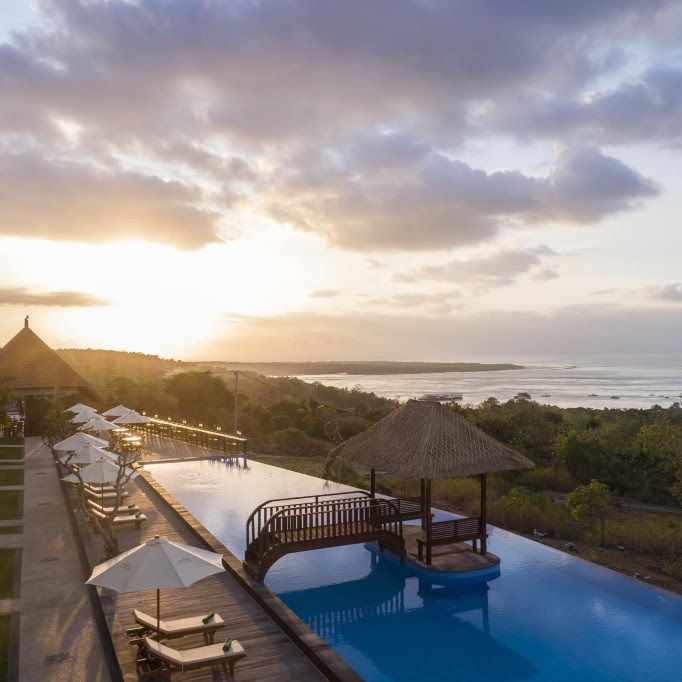 You can also embark from Padangbai in East Bali to Nusa Penida, which is just 30 minutes away from Wyndham Tamansari Jivva Resort Bali, a brand new 5-star luxury resort on East Bali’s exotic black sand beach. Surrounded by lush nature, the resort offers 214 rooms and suites and 8 private pool villas, a private beach club, Spa, a fitness centre and yoga studio, 2 swimming pools, a restaurant, poolside bar and a Kids Club. 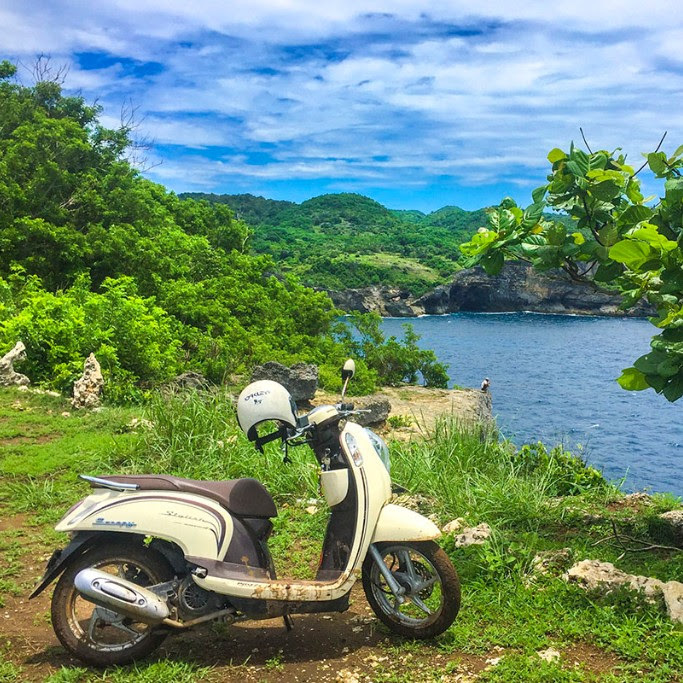 Just like mainland Bali, there are no shortages of scooter or motorbike rentals in Nusa Penida. The minute you disembark from the fast boat, you’ll hear many vendors calling out “Scooter! Scooter!” or “Rent! Rent!”. Just pick one and negotiate your price. The going rate would be about IDR 60K to IDR 70K per scooter per day – but before you pay, do check that everything works; brakes, lights, tires etc. A word of caution though, the roads in Nusa Penida aren’t as well-maintained as the ones in South Bali; the roads leading to the main attractions could be steep and slippery, filled with loose gravel, sand and potholes; many travellers have slipped and experienced minor accidents. If you’re not too confident on a motorbike, you could always choose to rent a car with an experienced driver/guide. This might be a better option for families with small children or the elderly. There are plenty of accommodations in Nusa Penida to suit your preference and budget but don’t expect luxury resorts or spa retreats. 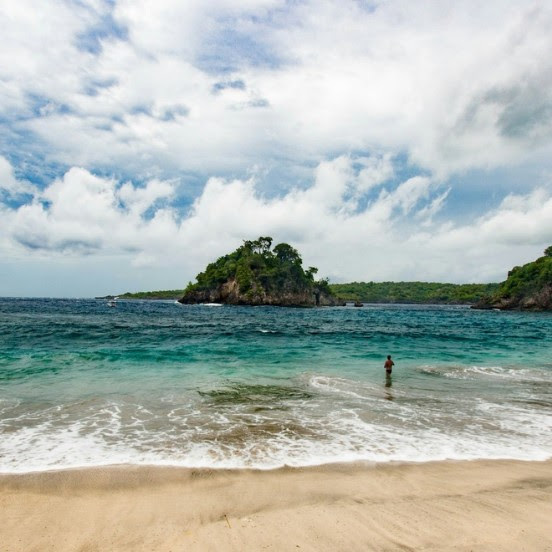 Nusa Penida is all about real Bali and true island life, so just enjoy what the island has to offer. Simply checkbooking.com or Tripadvisor.com for reviews and recommendations to some of the most popular bungalows and homestays. Some travellers do this for their first night, and then explore the island to check out other accommodations that are available. This is a great way to see and judge with your own eyes and a great way to meet the locals! Unlike Nusa Lembongan, Nusa Penida is large. It is the largest of Bali’s three sister islands and to really explore and understand it, you’ll need to spend a few days here. Visit Crystal Bay for snorkelling; it’s better if you go in the morning for clear, crisp weather and calm waters. Then you can visit the very Instagrammable Kelingking Beach for one of the region’s most breathtaking views. Broken Beach was a cave that lost its roof over time and is located at the bottom of a cliff which cannot be accessed over land. You’ll enjoy this panoramic view from the top of a cliff. Sometimes, you’ll be able to spot some rays or turtles swimming in the dazzling blue water that’s as clear as glass. Angel’s Billabong is a definite don’t miss! A natural infinity pool, it’s only 200 metres away from Broken Beach and the water, which meets the sea is unbelievably clear and refreshing, great for a swim! Temeling Waterfall is another great attraction; to get to the waterfall, you’ll need to go on a narrow dirt path that will take you through a lush tropical jungle. 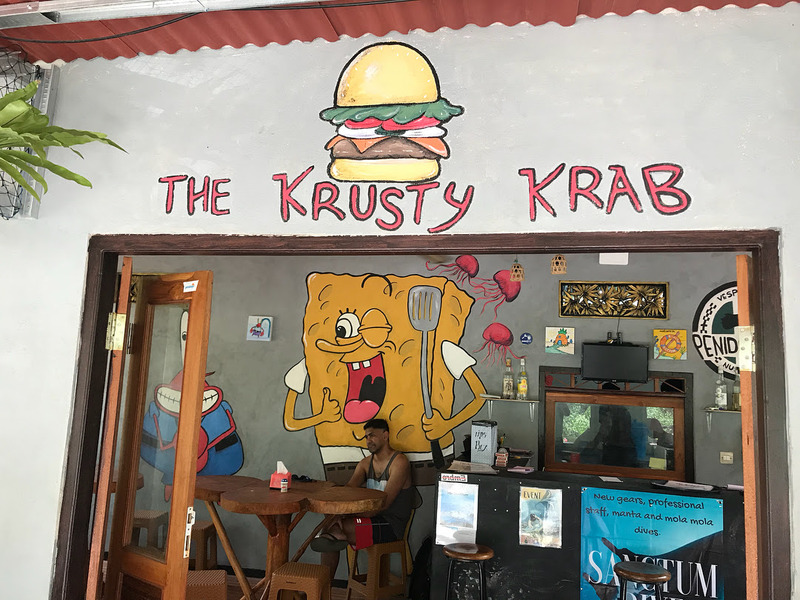 Do try The Krusty Krab or Rolling Art Cafe that offers plenty of options for vegans, vegetarians and meat-lovers. Rolling Art Cafe has really delicious pizzas and funny staff members. The prices at both these restaurants aren’t too high, and you’ll enjoy great food and friendly service, so there is sure to be something for everyone! Have you ever visited Nusa Penida? Do share your photos and videos with us! Tag us on Instagram (@baliplus) and Facebook (baliplusmagazine) and don’t forget to share our newsletter with your friends and family.